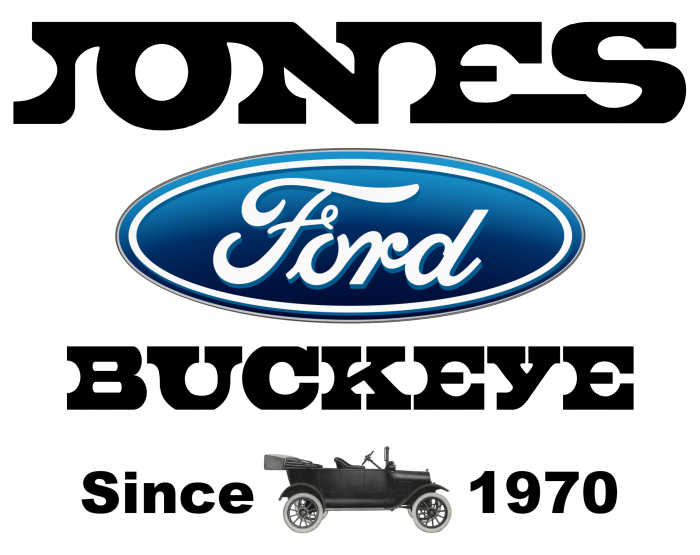 Join us for the 5th Annual Buckeye Marathon, Half, 10K, 5K, and Obstacle Course. White Tank Mountains and ending at the runway of the Buckeye Municipal Airport. White Tank Mountains on the outgoing section of the out-and-back courses. 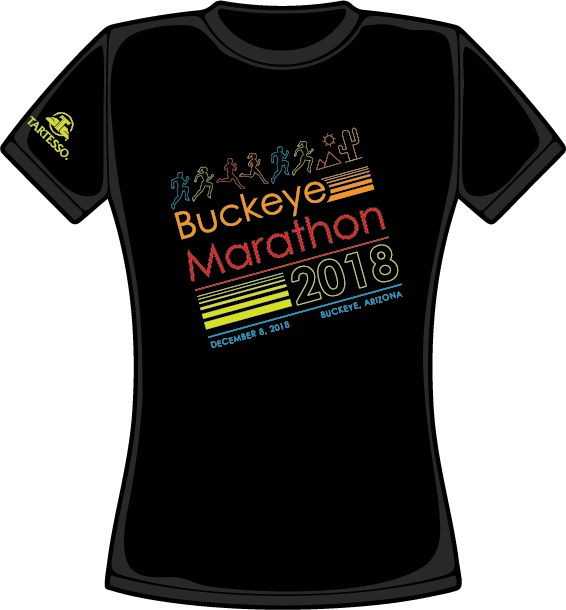 The 5th Annual Buckeye Marathon / Half Marathon / 10K / 5K / Obstacle Course will take place on December 8, 2018. (Marathoners:please park at the Baseball Complex at Sun City Festival - transportation will be provided from the finish line to the start line for marathon participants after the race). This event will be run on a USATF Certified Course and serves as a Boston/National Qualifier. All events will be chip timed. The marathon course will be a closure time of 6 hours, requiring a minimum pace time of 13:45/mile. 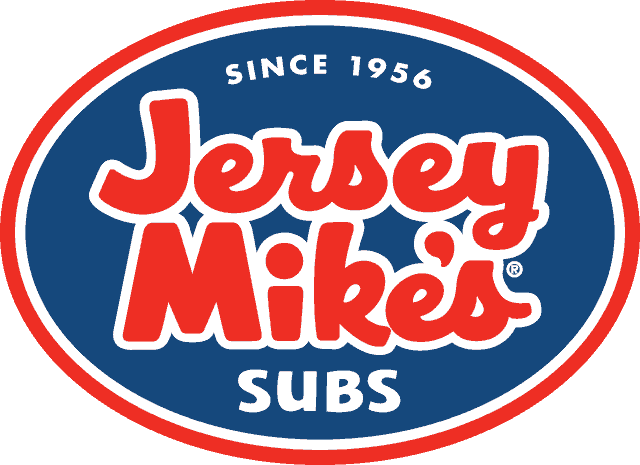 Proceeds will benefit the City of Buckeye Youth Scholarship Fund, giving kids the opportunity to participate in recreational activities throughout the city. 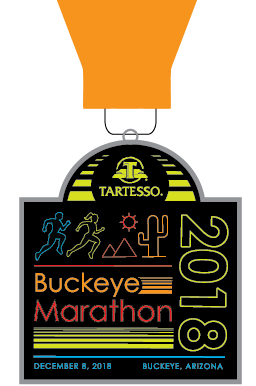 The 5th Annual City of Buckeye Marathon will be here before you know it!! If you have not already committed to something else, we would love to provide you the opportunity to be a sponsor or vendor at the event. Interested? Please complete our Vendor Application. 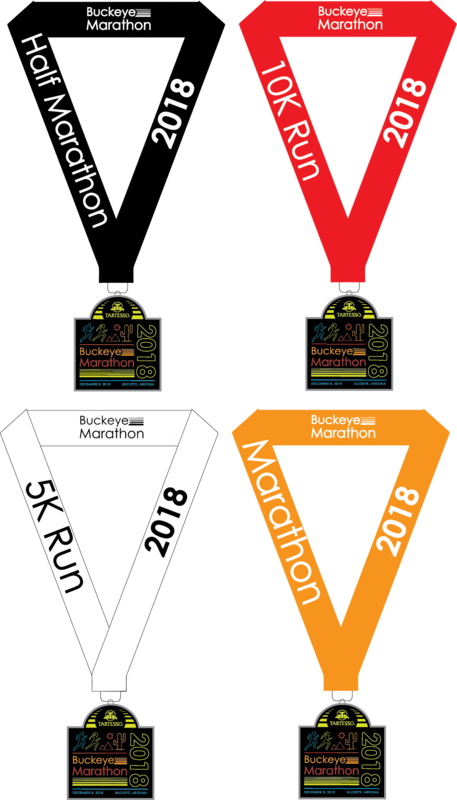 For further information about the race please visit us at www.buckeyemarathon.com. One important change, you can no longer provide credit card information on the application. To pay by credit card you must contact me over the phone. Custom Event Medal for all participants in the Marathon, Half Marathon, 10K and 5K events. Entry Into Post Race Festival. Race Day Registration will be available beginning at 7:00am. We ask that all marathon participants park at the starting line location (Sun City Festival Baseball Field - map). Shuttles will be available from the finish line area to return you to your vehicle. Shuttles will run every 30 minutes starting at Noon with the final shuttle leaving the finish area at 3:00pm. Bag check will be available for MARATHON PARTICIPANTS ONLY. On Race Day there will be alternate directions to the Buckeye Municipal Airport due to road closures for the race route. Please use the following direction to the event area at the airport:As these races will start and end at the Airport, no bag check will be available. Turn Left into the Buckeye Municipal Airport - 3000 S. Palo Verde Road. The marathon course will be a closure time of 6 hours and the half marathon course will have a closure time of 5 hours. 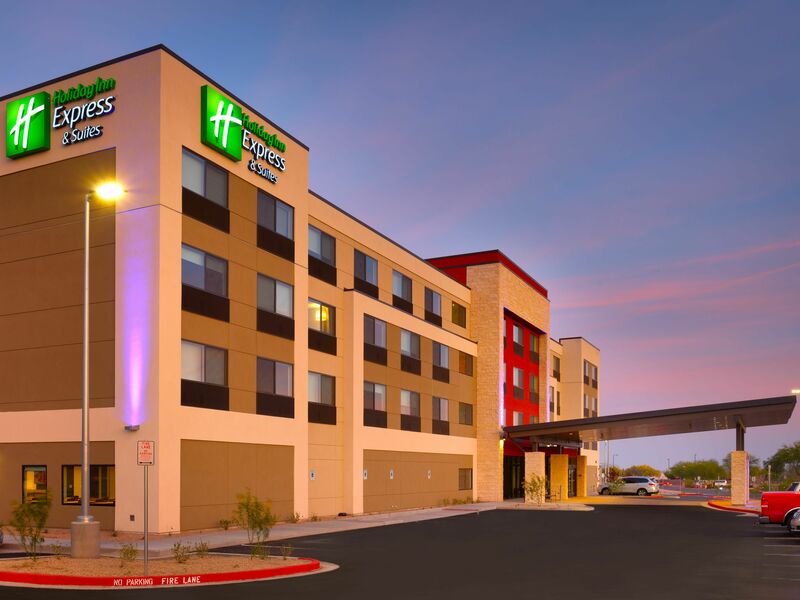 We are excited to announce our partnership with the Holiday Inn Express Phoenix West - Buckeye as the host hotel for the 2018 Buckeye Marathon. The hotel is located at 445 S. Watson Road, Buckeye AZ 85326 (map). Price will be $122.00 plus tax inclusive of full breakfast. Please follow this link to make a reservation. Race Day Packet Pick-Up will be available beginning at 7:00am at both Start Line areas. 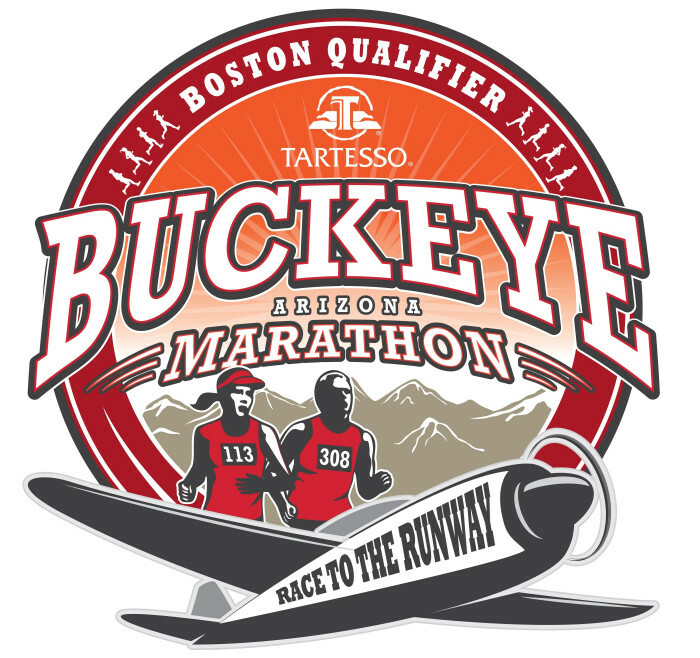 The City of Buckeye is seeking volunteers to help with the 4th Annual Buckeye Marathon. Volunteers are needed in a variety of areas, which include manning water stations and distributing medals. 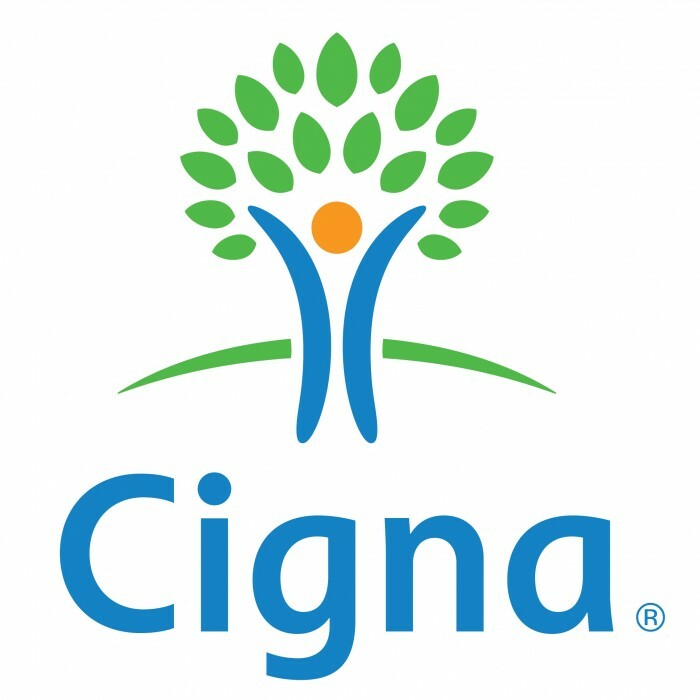 This is a great way to get involved with the community and cheer on runners from all over. Other benefits of volunteering include meeting new people, receiving volunteer credit hours, and being compensated with a commemorative shirt and lunch. Volunteer opportunities are open for groups or individuals. All ages welcome. 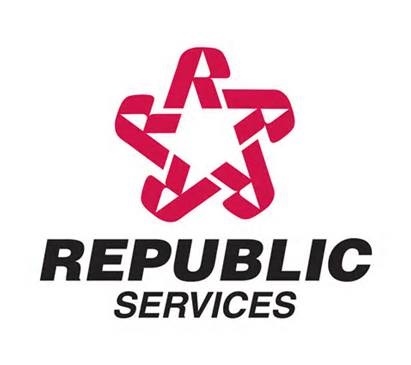 Shifts start between the hours of 7:00 a.m. and 2:00 p.m.
To view a list of volunteer opportunities and to register, visit https://goo.gl/JAu1Kb. For more information, contact Adam Melle at (623) 349-6350 or amelle@buckeyeaz.gov. 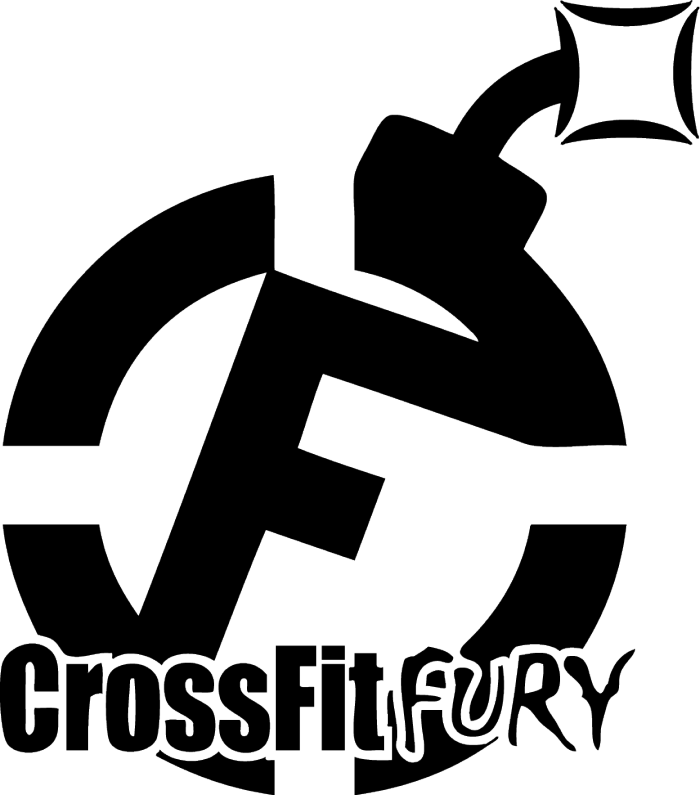 Join us at the Buckeye Marathon for an Obstacle course sponsored by CrossFIT Fury. This one-mile family-friendly course will test your agility and strength as you weave through the tire field, crawl through storm pipes, and weave through the spider web obstacle. Multiple obstacles will be onsite to accommodate varying abilities. All participants will receive an event shirt. The obstacle course will be open from 9:00am to 12:00pm for you and your family to run!! Water and Gatorade will be located approximately every two miles of the marathon course through Mile 20 and at every mile there after; for the half marathon and 5K courses, water stations will be available at every mile. GU Energy Gels will be available during the marathon at miles 8, 16, and 22. For the half marathon gels will be available at mile 8.5. 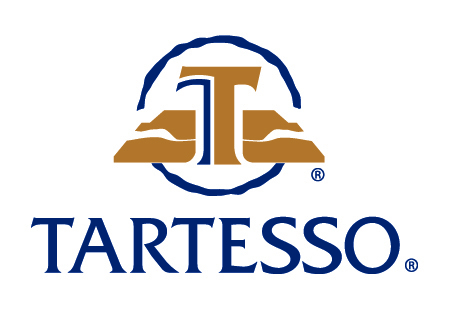 Restrooms will be located approximately every two miles along the course. Beast Pacing will be providing pacers for the marathon and half marathon courses.